Appearances – Lois Abromitis Mackin, Ph.D.
April 13, 2019, 9:15-11:30 a.m., Minnesota Genealogical Society, Online Goldmine–Spring Workshop, Minnesota Genealogy Center, 1385 Mendota Heights Road, Mendota Heights, Minnesota–FamilySearch (co-presented with Shirleen Hoffman). May 9, 2019, 10:30-11:30 a.m., Hudson Area Public Library, 700 1st St., Hudson, Wisconsin–Now That You’ve Tested. October 5, 2019, all day, Wisconsin State Genealogical Society Fall Seminar, Ramada Waupaca Hotel, 110 Grand Seasons Drive, Waupaca, Wisconsin–topics TBD. November 14, 2019, 10:30-11:30 a.m.,Hudson Area Public Library, 700 1st St., Hudson, Wisconsin–Becoming an Intermediate Genealogist. November 16, 2019, 11:30 a.m.-1 p.m., Irish Genealogical Society International at Celtic Junction, 836 N. Prior Ave., St. Paul, Minnesota–Finding Overseas Ancestors. March 23, 2019, 8:30 a.m.-4:00 p.m., Germanic Genealogy Society, Spring Meeting, Good Shepherd Lutheran Church, 7600 Cahill Avenue E., Inver Grove Heights, Minnesota–Using DNA for Genealogical Research and Now That You’ve Tested. March 21, 2019, 7:00-8:00 p.m., Dakota County Genealogy Group, Sibley Historic Site, 1357 Sibley Memorial Hwy, Mendota, Minnesota–Using the Online Resources of the DAR for Your Genealogy. March 14, 2019, 10:30-11:30 a.m., Hudson Area Public Library, 700 1st St., Hudson, Wisconsin–Exploring FamilySearch. February 16, 2019, 10:00 a.m.-4:30 p.m., Preserve & Organize Your Family History Conference, Minnesota Historical Society, 345 W. Kellogg Blvd., St. Paul–Organizing Your Genealogy. January 10, 2019, 10:30-11:30 a.m., Hudson Area Public Library, 700 1st St., Hudson, Wisconsin–Getting Started. December 2, 2018, 1:00-3:00 p.m.: Minnesota Genealogical Society DNA Interest Group, location TBD–Are These Mackins Brothers? November 19, 2018, 6:30-7:30 p.m., Hennepin County Library, Eden Prairie Library, 565 Prairie Center Drive, Eden Prairie–20th Century Military Records. November 17, 2018, 10:00-11:30 a.m., Minnesota Historical Society, 345 W. Kellogg Blvd., St. Paul–Exploring Ancestry.com. November 10, 2018, 10:00-11:00 a.m., Hennepin County Library, Brookdale Library, 6125 Shingle Creek Parkway, Brooklyn Center–20th Century Military Records. November 8, 2018, 10:30-11:30 a.m., Hudson Area Joint Public Library, 700 1st St., Hudson, Wisconsin–Finding Overseas Ancestors. November 3, 2018, 12 noon-1:00 p.m.: Monument chapter, National Society Daughters of the American Revolution, Edina Historical Society, 4721-4761 W. 70th St., Edina, Minnesota–Identifying a WWI Photo: Who’s that Doughboy in My Grandmother’s Photo Album? October 27, 2018, all day: Hennepin County Library, Family History Fair, Minneapolis Central Library, 300 Nicollet Mall, Minneapolis, Minnesota–Third-Party Tools for DNA. September 20, 2018, 7:00-8:00 p.m. Dakota County Genealogical Society, Dakota County Historical Society, 130 3rd Ave N, South Saint Paul, Minnesota–Plan a Research Trip–cancelled due to weather. September 13, 2018, 7:00-8:00 p.m. Olmsted County Genealogical Society, History Center of Olmsted County, 1195 West Circle Drive SW, Rochester, Minnesota–Tools for Working with Autosomal DNA Results. August 5, 2018, 1-3 p.m.: Minnesota Genealogical Society DNA Interest Group, Minnesota Genealogy Center, Minnesota Genealogical Society, 1385 Mendota Heights Rd, Unit 100, Saint Paul, Minnesota–X-Chromosome DNA. June 7, 2018, 10:30-11:30 a.m.: Hudson Area Joint Public Library, 700 1st St., Hudson, Wisconsin–Planning a Research Trip. April 10, 2018, 6:30-7:30 p.m.: Hennepin County Library, Champlin Library, 12154 Ensign Ave N, Champlin, Minnesota–Exploring FamilySearch. March 24, 2018, 10-11 a.m.: Hennepin County Library, Sumner Library, 611 Van White Memorial Blvd, Minneapolis, Minnesota–Exploring FamilySearch. March 2, 2018: John Prescott chapter, National Society Daughters of the American Revolution, Oak Grove Presbyterian Church, Bloomington, Minnesota–Preparing Supplemental Applications. 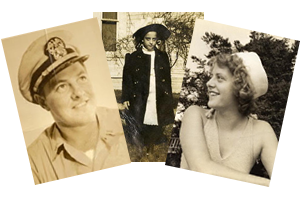 February 28, 2018, 4:30-5:30 p.m.: 3M Genealogy Club–Military Records. February 8, 2018, 10:30-11:30 a.m.: Hudson Area Joint Public Library, 700 1st St., Hudson, Wisconsin–Third-Party Tools for DNA. December 14, 2017, 12 noon-1:00 p.m.: Steele County Historical Society, 1700 Austin Rd, Owatonna, Minnesota–Grandpa’s Probate Solves the Mystery of the Disappearing Daughters. November 4, 2017, 10-11 a.m.: Hennepin County Library, Excelsior Library, 337 Water St., Excelsior, Minnesota–Researching When You’re Not There. November 4, 2017, 1-3 p.m.: Yankee Genealogical Society, at Dakota County Historical Society, 130 Third Ave, South St. Paul, Minnesota–All Things Mayflower (panelist). October 23, 2017: Hennepin County Library, Maple Grove Library, 8001 Main St. N., Maple Grove, Minnesota–Researching When You’re Not There. October 17, 2017, 12 noon-1:00 p.m.: Steele County Historical Society, 1700 Austin Rd, Owatonna, Minnesota–Using DNA for Genealogical Research. September 21, 2017: Dakota County Genealogical Society, South St. Paul, Minnesota: Why Use DNA for Genealogical Research. September 9, 2017: Monument chapter, National Society Daughters of the American Revolution, 12:00 noon- 1:00 p.m., Edina Historical Society, 4721-4761 W. 70th St., Edina, Minnesota–Learning Ancestry.com. August 18, 2017, 2:00-3:00 p.m.: Ostfriesen Heritage Society, Wellsburg Public Library, 411 N. Adams St., Wellsburg, Iowa–Using DNA for Genealogical Research. August 10, 2017, 10:30-11:30 a.m.: Hudson Area Joint Library, Hudson, Wisconsin–Finding Female Ancestors. May 13, 2017, 10:00-12:00 noon: Minnesota Genealogical Society English-Welsh Interest Group, Shoreview Library–Exploring the General Register Office (GRO) Indexes. April 22, 2017: Milwaukee County Genealogical Society, Best Western Plus Milwaukee Airport Hotel, Milwaukee, Wisconsin–20th Biennial Workshop, Researching When You’re Not There, Don’t Cross the Pond Till You’re Ready, Learning About Localities, Social Media for Genealogy. March 18, 2017: Minnesota Genealogical Society, South St. Paul, Minnesota–Tracing Immigrant Ancestors. February 14 and 16, 2017: Association of Professional Genealogists, online discussion group (APG members only)–Creating Genealogy Classes and Workshops. February 11, 2017: Minnesota Historical Society, St. Paul, Minnesota–Making Sense of the Census: Following the Clues in Census Records. January 28, 2017: Minnesota Genealogical Society English-Welsh Interest Group, Maplewood Library, 3025 Southlawn Dr, Maplewood, Minnesota–Touring The National Archives of the UK’s Website. January 12, 2017, 10:30-11:30 a.m.: Hudson Area Joint Library, Hudson, Wisconsin–Genealogy 101. November 19, 2016: Minnesota Genealogical Society, South St. Paul, Minnesota–Solving Problems with Church and Cemetery Records (with Shirleen Hoffman). November 17, 2016: St. Croix Valley Genealogical Society, River Falls, Wisconsin–Using DNA for Genealogical Research. November 10, 2016: Olmstead County Genealogical Society, Rochester, Minnesota–Exploring FamilySearch. November 6, 2016: Minnesota Genealogical Society, DNA Interest Group, Roseville Library, Roseville, Minnesota–X-Chromosome DNA. October 29, 2016: Hennepin County Library, Family History Fair, Minneapolis Central Library, Minneapolis, Minnesota–Finding Your Female Ancestors. October 1, 2016: Minnesota Genealogical Society, North Star Conference, Colonial Church, Edina, Minnesota–Jumpstarting Your Problem Solving (two-hour workshop with Shirleen Hoffman). September 30, 2016: Minnesota Genealogical Society, North Star Conference, Colonial Church, Edina, Minnesota–When You Need Help with Your Research (sponsored by the Northland chapter, Association of Professional Genealogists). September 24, 2016: Lake Minnetonka Chapter, NSDAR, Wayzata, Minnesota–DNA and the DAR. September 10, 2016: Minnesota Historical Society, St. Paul, Minnesota–Using DNA for Genealogical Research and Diving Deeper into DNA. September 8, 2016: Monument Chapter, NSDAR, Edina, Minnesota–Fold3 Military Records and Preserving the Pensions from the War of 1812. August 3, 2016: Ostfriesen Genealogical Society of America, Bloomington, Minnesota–Using DNA for Genealogical Research and Diving Deeper into DNA. August 5, 2016: Celtic Connections Conference, St. Louis Park, Minnesota–Researching Cornish Ancestors. June 11, 2016: Irish Genealogical Society International, South St. Paul, Minnesota–Genealogy for the Advanced (with Audrey Leonard and John Schade). June 1, 2016: Minnesota Genealogical Society, South St. Paul, Minnesota–Webinar–Working with Probate Records. The webinar recording is available in the webinar archives of the MGS Members Only website.